Our Jeep safaris offer a beautiful trip through the high mountains of Spiti and beautiful valleys of Kinnaur to Spiti and ending in Manali. 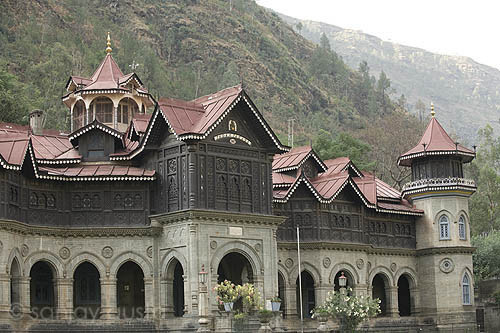 We will pick you up from Shimla, drive through the Shimla and Kinnaur districts to all the way upto Spiti. 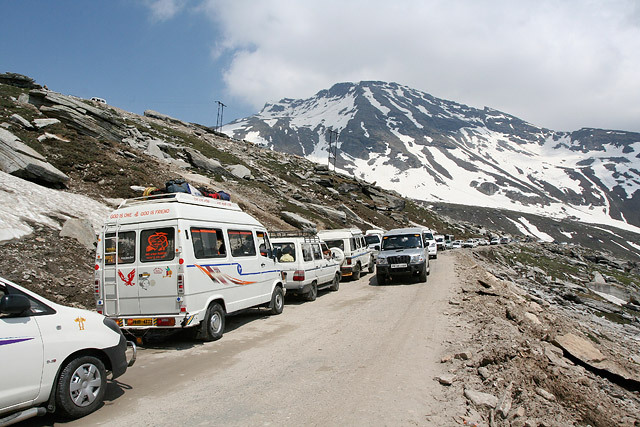 We will then drive down to Manali via the mighty Kunzam and Rohtang pass. We will stop at major tourist spots including monasteries, temples, villages, landmarks etc. This will be a perfect option for those who want to experience Spiti with their family in a very easy manner. In the morning we start from Shimla. Along the route enjoy the magnificent views of deep interlocked valleys en-route Kufri, Theog, Matiana and Narkanda. Through an old brown Oak forest we drive up to Hattu Peak (3135m) crested with a temple and offering stunning view of the snow-capped Himalayas. Later, we drive further down to Rampur and along River Sutlej, pass Jeori and reach Sarahan for overnight stay. After breakfast, we visit the ancient Bhima Kali temple, one of the important seats of Kali in India. The walk above the village takes you to the breeding centre for endangered species of Himalayan pheasants. From the top, enjoy a bird-eye view of Sarahan with snow-capped Shrikhand ranges in the backdrops. Later we drive to Sangla past Tranda, Tapri and Karcham. After we reach Sangla, check into the hotel and later explore the village of Sangla and Kamru with its centuries old Kamru fort. Overnight stay at Sangla. After breakfast we drive to Chitkul (3460 Meters) last village on Indo-Tibetan border. Enjoy a lovely walk along the bank of river or opt to hike up to the mountain top to get panoramic views of the Himalaya. 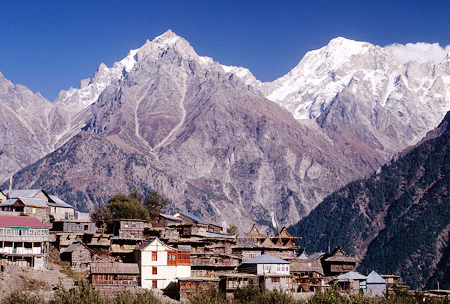 Later, explore the traditional village of Chitkul and drive back for evening to Kalpa, one of the favorite retreats of Lord Curzon, British Viceroy to India. So impressed from the place, he wanted to make Kalpa next summer capital of British India. From there get the enchanting sight of Kinner-Kailash range. Overnight at hotel. Today we leave the greener Himalaya and enter the cold Himalayan desert. This landscape describes the intrusion of Tibetan plateau toward Indian side. 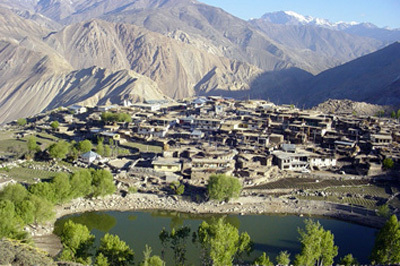 Stop at Khab, where River Sutlej amalgamates with River Spiti carrying the glacial deposits. The uphill drive further continues to Village Nako. According to Tibetan mythology, great sage Padamsambhava mediated here and his footprints on a rock are still safe in a small monastery. Explore the village portraying a difficult but simple and contended lifestyle. Visit monastery of Nako and walk through the village. 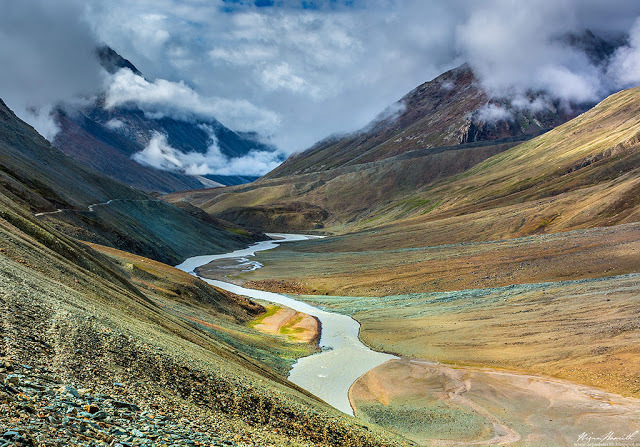 Continue your adventurous drive along River Spiti to reach Tabo (3050m). Tabo Monastery is more than 1,016 year old monastery and still preserves some of the oldest Tahnkas (fresco) in Tibetan mythology. Check in to your hotel. Later, in evening stroll the village around. Overnight at hotel. After breakfast we drive to Dhankar, the old capital of Spiti. A fortified monastery is built on a cliff; erosion on the walls reveals the weathering and harshness of climate. This multi-storied complex has many rooms. Later we continue driving to Kaza and check into your hotel. In the afternoon, drive up to Kee monastery, the complex presents an example of fortified monasteries which were built against possible invasions. From here, one can admire descend of Spiti valley and as it rises, up to Kunzum pass. Drive back to visit the local market at Kaza, displaying the necessities of life here. Drive back to the hotel. Today, we drive to village Comic, situated at an elevation of 4,500m. We will visit the village and the monastery. 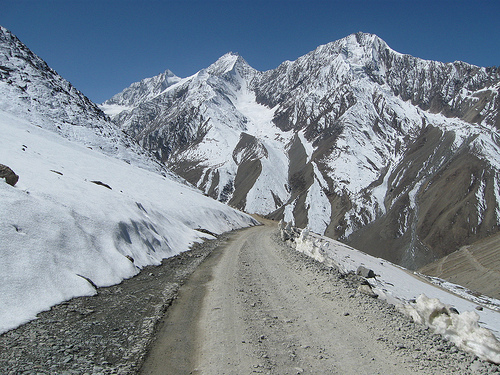 We now drive back to visit village Langza, with a stunning view of Mount Kanamo (6000m). Later we walk down to the gigantic statue of mediating Buddha with a closer look to the lifestyle of Himalayan people. Later we drive back to Kaza, go for early dinner as next day we drive before the dawn breaks. Early morning we drive to Manali, stopping for breakfast at Losar village. 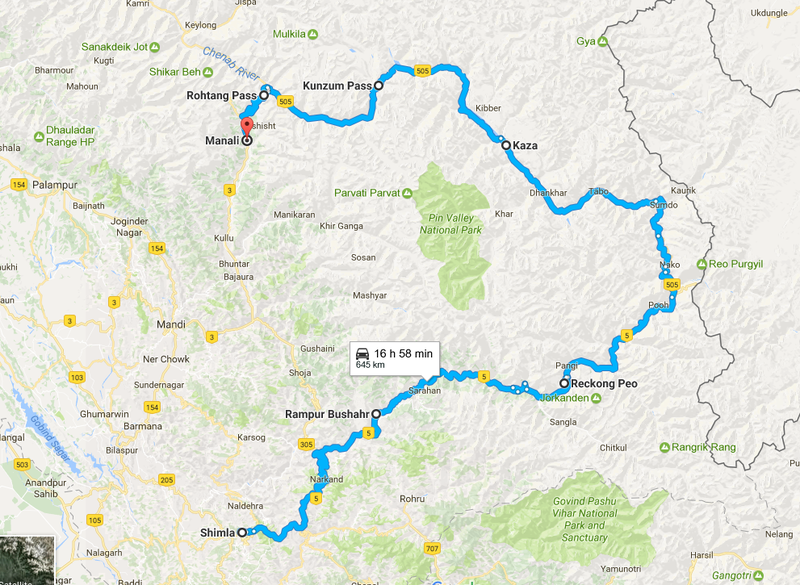 The adventurous drive further heads to Kunzum Pass (4551m), highest motorable pass of Himachal Pradesh. At Kunzum, enjoy stunning views of snowcapped Kunzum, CB13 & CB14 peaks of Chandrabhaga range. We further drive down along River Chandra with looming peaks of Pir Panjal and Chandrabhaga ranges of Great Himalayan system. Near Batal, catch a stunning view of Bara Sigri glacier (25 km long, biggest glacier of Himachal Pradesh). Finally, we reach the Himalayan junction, from where the road bifurcates to Ladakh while we drive up to Rothang Pass. From the other side of the pass, soak your eyes with the lush green Kullu Valley. For evening, reach Manali. 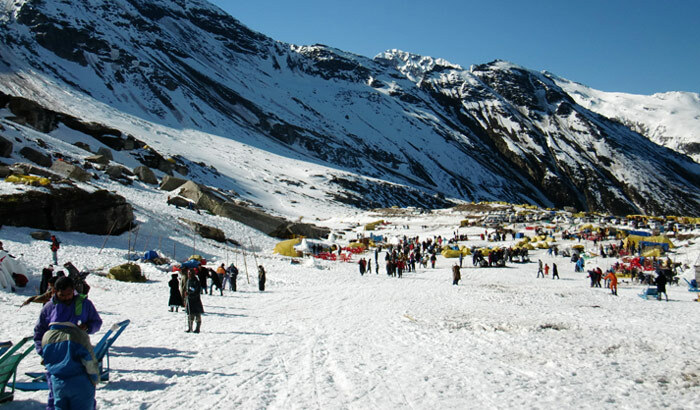 Take a tour of the Manali market area and bring home some Himalayan souvenir. Take rest at night as you will return to your home with great memories of the trip. For more information about the trek or to enquire about custom packages for individuals or groups, please contact us.